Global development actors such as the World Bank and the International Monetary Fund claim that the shift to the poverty reduction strategy framework and emphasis on local participation address the social cost of earlier adjustment programs and help put aid-receiving countries back in control of their own development agenda. 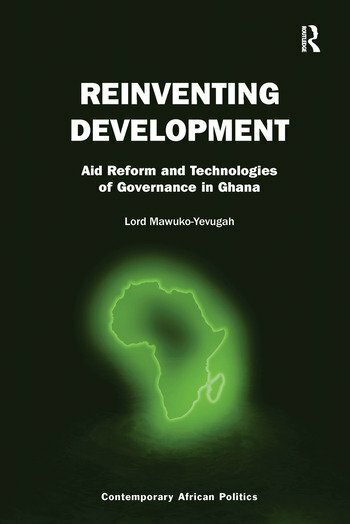 Drawing on the case of Ghana, Lord Mawuko-Yevugah argues that this shift and the emphasis on partnerships between donors and poor countries, local participation, and country ownership simultaneously represents a substantive departure from earlier versions of neo-liberalism and an attempt by global development actors and local governing and social elites to justify, and legitimize the neo-liberal policy paradigm. This book shows how the new architecture of aid has important implications in three distinct but related ways: the discursive construction and production of post-colonial societies; the changing focus of Western aid and development policy interventions; and the reproduction of the politics of inclusive exclusion. The author provides detailed and original research on the new development paradigm and develops a critical theoretical approach to re-think conventional analyses of the new discourses on aid whilst offering a fresh, alternative interpretation of changes in international aid relations. Lord C. Mawuko-Yevugah is an international relations specialist and a political economist with years of experience both as a researcher and practitioner. He is currently based in Accra, Ghana and teaches international development and public policy at the Ghana Institute of Management and Public Administration (GIMPA). He started his career as a political journalist with the Business and Financial Times newspaper in Ghana and later as a Program Officer and Researcher at the Institute of Economic Affairs, Ghana. Between 2007 and 2011, he worked as a tutor in global studies and political economy at the Athabasca University in Canada. From there he joined the University of the Witwatersrand in Johannesburg, South Africa as a Lecturer in International Relations. Before his current appointment, he worked as a Research Fellow at the International Institute of Social History in Amsterdam, Netherlands. A native of Ghana, Lord Mawuko-Yevugah completed a doctorate in political science with a specialization in international political economy at the University of Alberta, Canada and holds a Master’s degree in development studies from Cambridge University, United Kingdom. He completed an undergraduate degree in political science and linguistics with a First Class Honors from the University of Ghana, Legon.